A Greenfield man was indicted Tuesday for menacing by stalking after he allegedly harassed members of his family on social media and urged others to damage the family’s property, apparently resulting in an attack on their home with marbles possibly fired from a slingshot, police said. David W. Everhart, 47, Greenfield, was indicted on one count of menacing by stalking, a fourth-degree felony, after his niece and her husband reported to the Greenfield Police Department that they were “suffering fear and mental anguish” as a result of his conduct, according to a law enforcement affidavit. 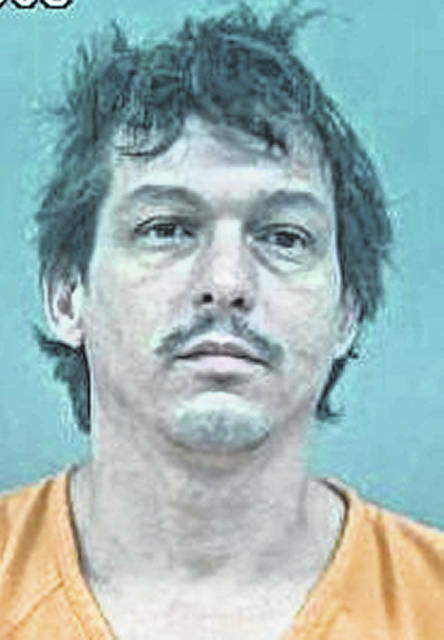 According to the affidavit, Everhart had been caring for his disabled mother in exchange for money from family members when a family member found the mother’s medication had been stolen. Everhart was then “cut off financially,” and the family changed the locks to the mother’s home and moved her away, according to the affadavit. It was then that police say Everhart “launched a campaign to seek revenge against his sister” and members of her family. In late November 2018, the niece and her husband found their home had been hit by marbles “likely launched from a slingshot,” the affidavit said. The projectiles damaged siding on the home and broke a window, and one struck near a child’s bedroom window. Everhart also allegedly encouraged others to damage his niece’s property, “using claims of animal abuse in order to incite the actions of others,” according to the affidavit. Alicia R. Eaton, 43, Hillsboro, one count aggravated trafficking of methamphetamine and one count aggravated possession of methamphetamine, each a second-degree felony. The indictment includes a forfeiture specification, a component of a criminal indictment which lists property subject to forfeiture due to its involvement in a crime. Ronald Ison, 37, no address on file, one count illegal transportation of scrap tires without a registration certificate and seven counts of illegal open dumping of solid wastes (scrap tires). Both violations are unclassified felonies. Maria K. Trefz, 36, Greenfield, two counts misuse of a credit card, one a fourth-degree felony and the other a first-degree misdemeanor. David Walker, 21, Hillsboro, one count aggravated possession of methamphetamine, a fifth-degree felony; and one count carrying concealed weapons, a first-degree misdemeanor. The indictment includes a forfeiture specification. Christopher Powell, 37, Hillsboro, one count aggravated possession of drugs, a fifth-degree felony.